We just created a Seattle Mind Camp YouTube channel, and have started uploading a bunch of content from previous Mind Camp events. You’ll find recaps of a couple of past events, clips of interesting happenings, as well as a bunch of great sessions, posted in their entirety. We will continue pushing out great content from Seattle Mind Camp events, and we’ll have a bunch of great content coming out of Mind Camp 6.0, which is now just two weeks away. If you haven’t already, be sure to pick up your tickets! Mind Camp 6.0 still needs a dinner sponsor! Mind Camp 6.0 is coming up in two weeks, and it looks like we still need a local Seattle company to help us sponsor dinner for the event. If you represent a company, feel free to contact us. If you’re an attendee and think your company fits, please point them to us. Meanwhile, we continue our search. We definitely want to be able to provide dinner at the event like we’ve done in the past! Worst case scenario, we will break for a couple of hours in the evenings to let attendees grab food locally. We’ve gotta give a shout-out to Gist for stepping in to support Seattle Mind Camp 6.0. Know More About Who You Know. Gist helps you build stronger relationships by connecting the inbox to the web to provide business-critical information about the people and companies that matter the most. Definitely a cool service, with a superb iPhone app to boot. Starting a new top level domain? We can help. We will guide you from application to approval to operations, with expert assistance at every step. We work with corporate, geographical, market-niche, and not-for-profit TLDs. Espresso, our registry platform, offers low flat-rate pricing, a low annual minimum, flexible contract terms, and a built-in sales channel to all the top domain registrars. We currently help operate over a dozen ccTLDs, have decades of experience, and are a Seattle company. 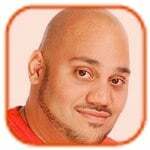 Meet Jothan Frakes, COO of Minds + Machines at MindCamp 6, he’s glad to answer questions about domain names and share his experience with fellow attendees. Awesome. 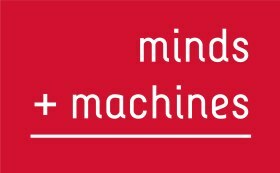 Be sure to say “Hi!” to Jothan at Mind Camp, and again, big thanks to Minds + Machines. Seattle Mind Camp 6.0: Nov 21-22 at Synapse Offices! Hey Seattle - it’s that time again! We’ve just scheduled Seattle Mind Camp 6.0 to take place over the weekend of November 21-22, and yes, the event will once again go for 24 hours straight, and will take place at Synapse (1511 6th Ave, Seattle, 98101.) Tickets are now on sale, and we’ve already got a great group of people registered. Be sure to get your ticket, because we expect these to go fast! During Mind Camp 5.0, one of my favorite couples, Monica Guzman and Jason Preston, led the charge to create a quick spoof mockumentary showing what exactly goes on during a Seattle Mind Camp event. I think they nailed it - fairly realistic. Definitely worth watching! 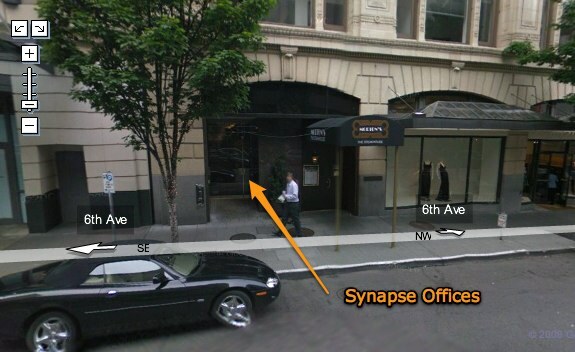 You’re going to the offices of Synapse in downtown Seattle. The address is 1511 6th Ave, Seattle, 98101. Windows Mobile and Online Services are two of the fastest growing businesses at Microsoft. They are creating products that could free people from the physical limitations of the office, improve efficiency and responsiveness, build return on investment and experience a wealth of business and productivity applications. Windows Mobile offers a flexible solution that includes familiar Microsoft software and adapts to existing technology and infrastructure. Join us for a refreshment and take a compatibility test at Mind Camp to see if you’re a good match for a position at our new South Lake Union office in Seattle! Anyone who participates is also eligible to win one of five HTC Diamond SmartPhones, one of the most sophisticated SmartPhones that runs Windows Mobile 6.1, which features a vibrant touch screen, an ultra-fast HSDPA internet connectivity, a 3.2 megapixel auto-focus camera, 4GB of internal storage, an Integrated GPS along with many others. 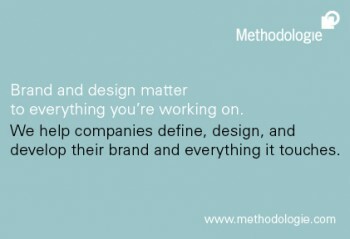 Methodologie helps companies define, design, and develop their brand and everything it touches. They’ve built a reputation across the country for powerful and creative communications for clients such as Xbox, Sun Microsystems, and The Coca-Cola Company, The MacArthur Foundation, and Dale Chihuly. Founded in 1988, they have an award-winning team of 29 print, interactive and brand strategy experts who will ensure your next project rises to the surface in this competitive attention economy.